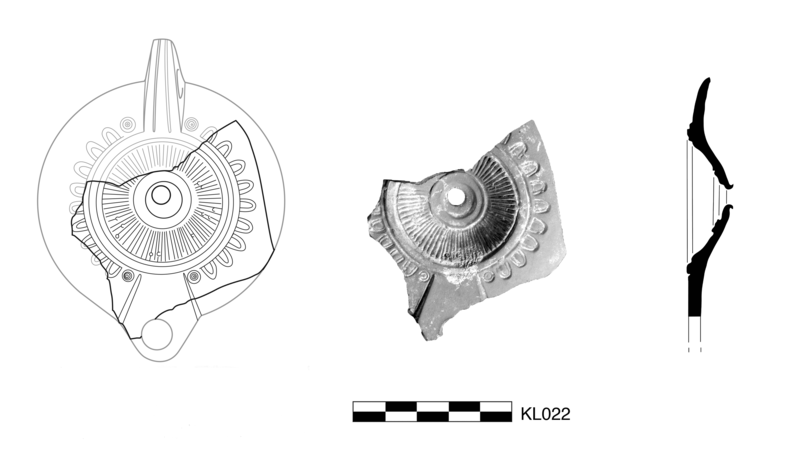 Circular to oval, concave discus has central filling hole with set-back raised rim, ray motif, and wide framing ring. Broad shoulder has large ovules all around and stamped double circles flanking the nozzle. Kite-shaped, raised nozzle. One large fragment preserves over three-quarters of discus and large parts of shoulder and nozzle. 5YR 7/6, reddish yellow. 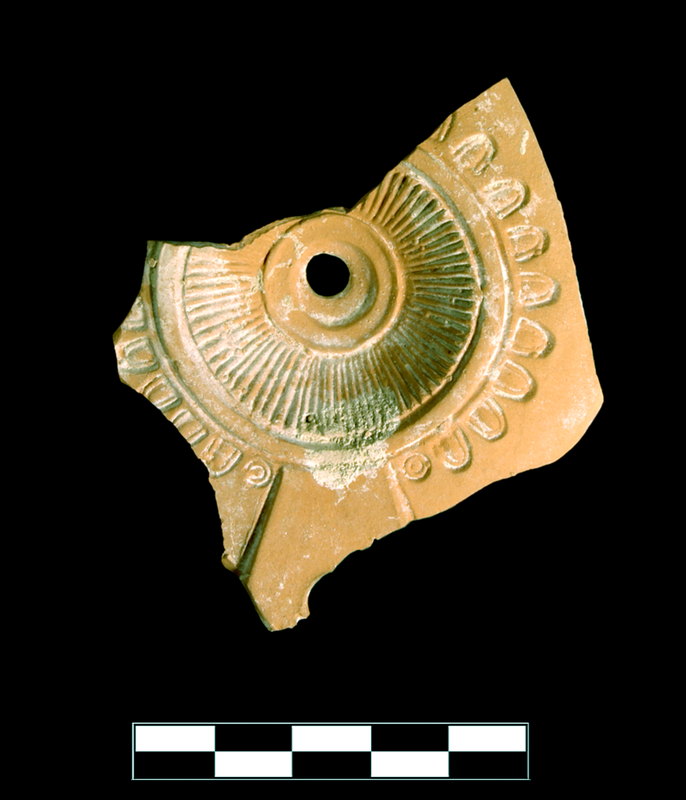 Early/Middle Roman Corinthian lamp fabric: slightly reddish, fine, hard. Fingerprint on interior. One large fragment preserves over three-quarters of discus and large parts of shoulder and nozzle. Well preserved. Slight, sparse encrustation.